This robust Polish built steel sloop was washed up a sandy beach in bad weather and dismasted whilst being salvaged, however there was no water ingress and only minor damage to the rudder. 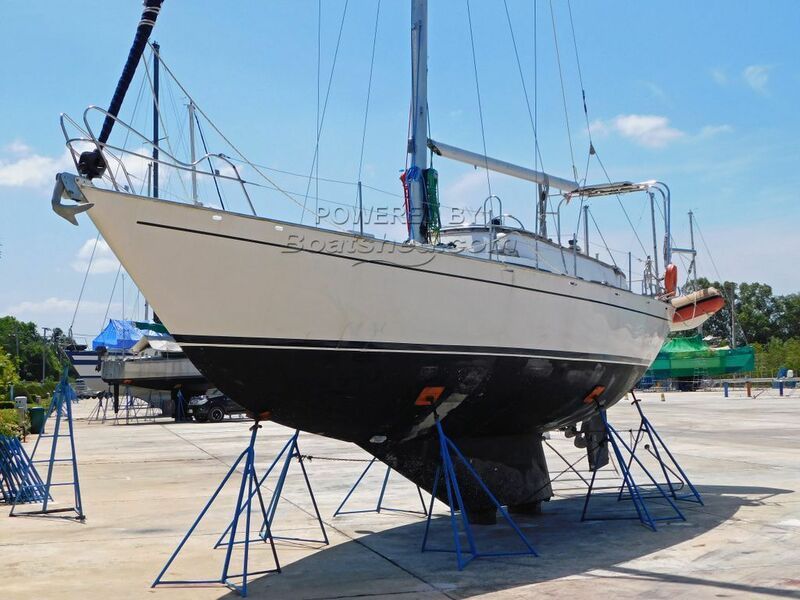 The current owner bought her from the insurance company and has got her into a usable condition, but has decided, after sailing her for 2 weeks, that he really wants a bigger boat and does not want to spend any more on this one. Some of the details such as tank capacities are best estimates as the details are not available. This 12 Metre Steel Yacht has been personally photographed and viewed by Alan Giles of Boatshed Phuket. Click here for contact details. There must be a mistake on the draft, which is it .